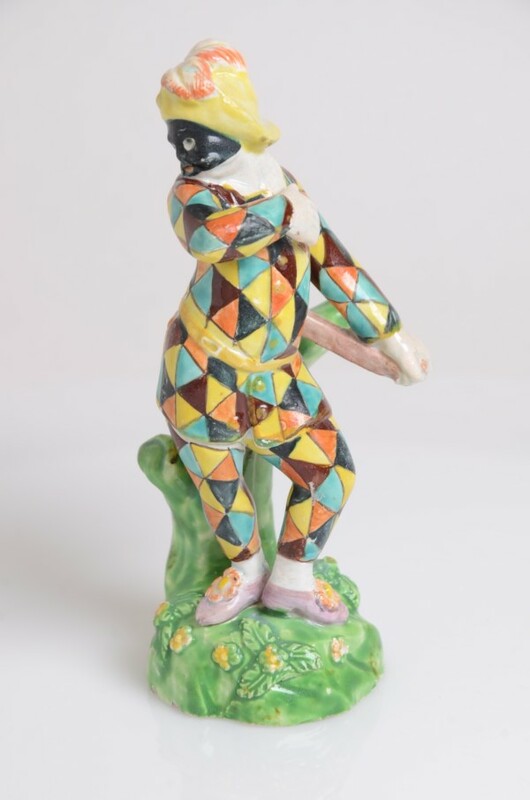 A delightful Pearlware figure of a Harlequin. 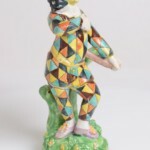 A totally original charming and rare piece. c. 1827.